Thank you for visiting Copper Patina Artwork – a Copper Art Designs production. 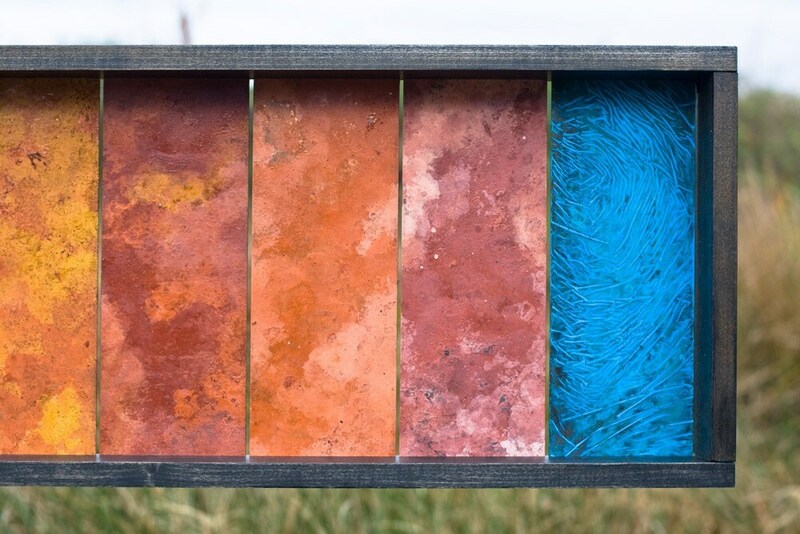 This piece is a part of our Cycles in Nature series capturing how the seasons change our environment throughout the year. 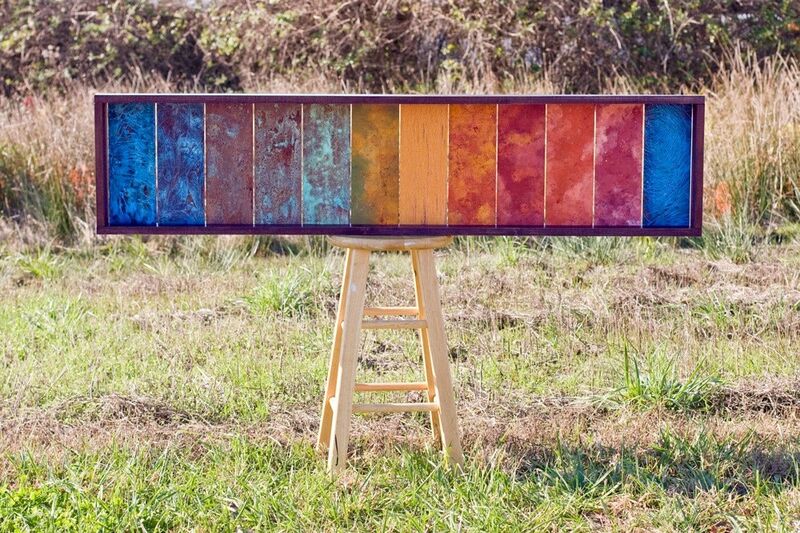 12 Months takes a chromatic look at temperature and environment through each month in one year. Starting in January the piece begins with frosty Winter blues fading into the new growth of Spring greens and the bright sunny days of summer. The year rounds out with brilliant colors of Autumn and settles back into cool blues of Winter. 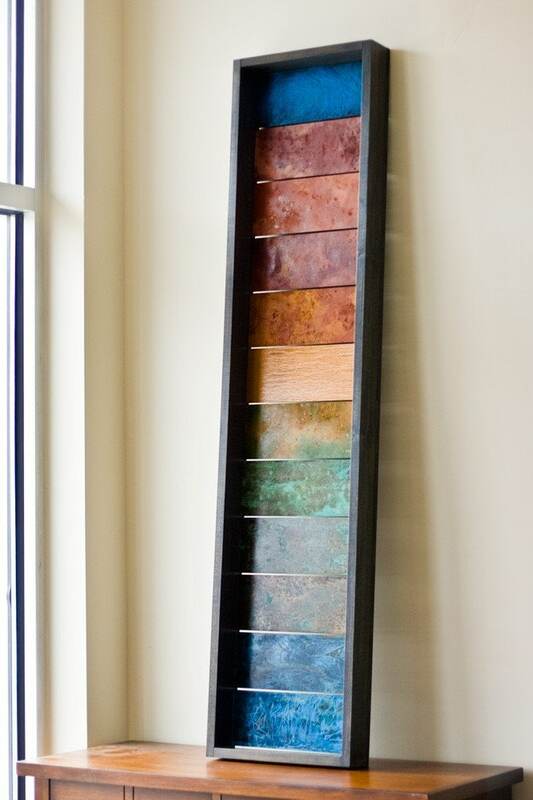 12 Months is composed of 12 copper panels each beautifully accented with patina to reflect the month's mood and place in the season. It is framed with an ebony stained solid oak wood and can be fitted to hang on any wall. 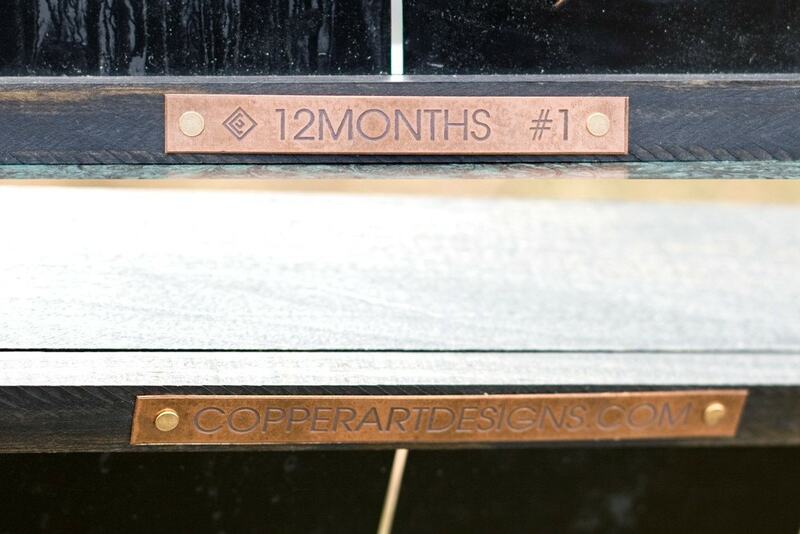 Etch copper tags including the name and number in the series is included on the back of the piece. 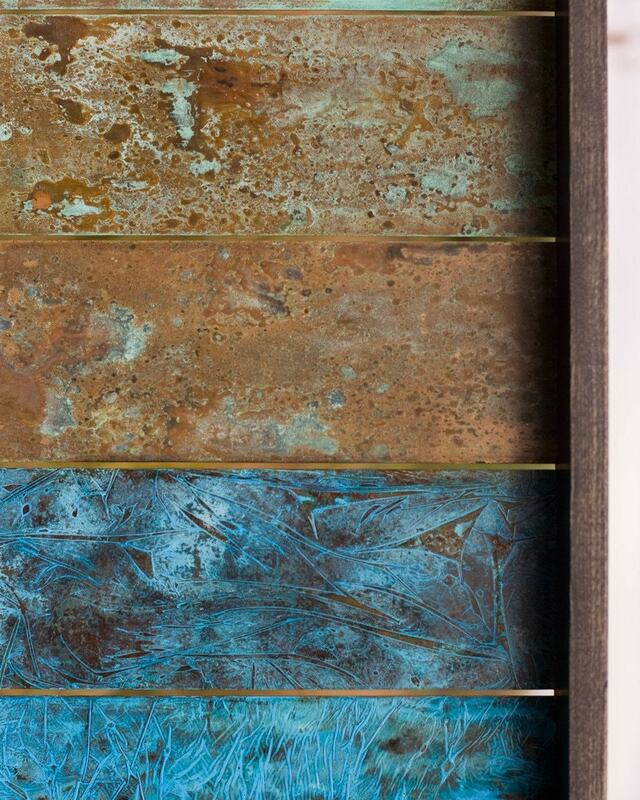 Your Copper Artwork will be created very similar in same style, patina color and size. After you order, I will start to create your artwork within 5-6 days. I will finish it within 14-18 days. Then, I will send you an image of the artwork for your acceptance.